The popular outdoor event will also include Interpol, David Guetta and Florence + the Machine over two weekends. It takes place in the desert in Indio, California. 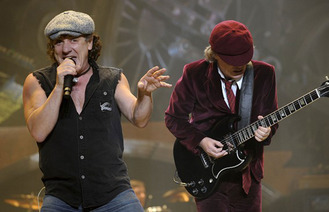 AC/DC, who released a new album last month, will headline on April 10 and 17. Jack White will perform on April 11 and 18, while Drake takes the stage on April 12 and 19. Tickets go on sale today (January 7). Other performers include Tame Impala, Steely Dan, the Weeknd, alt-J, Hozier, Kaskade and St. Vincent. Last year's festival featured Outkast, Arcade Fire and Muse.